In the role of Internet Marketer we are aware of the importance of keywords to the success of a website. However, are we recognizing the importance of long tail keywords, and how essential are they to the latest post we are writing? Maybe a better question is: what value do long tail keywords add to the success of a website? There was no talk about the length of the keywords. It was accepted that a keyword was a phrase containing two or three words. To use keywords in that manner these days, we would be guilty of keyword stuffing. The search engines would not give us the time of day. Our content would have no chance of ranking. To be successful with Google ranking, the practice now is for one keyword to be applied to each post, or page of a website. That one keyword will rank better in Google if it is a long tail keyword. It also has less competition than a short keyword. The reason for this is the long term keyword has greater buyer intent. For example: a visitor is browsing the internet to find the best electric range to buy. They’ve done their research by searching for electric range. They have checked out different features and decided what they need. They set their heart on a self cleaning range that must be run by electricity. The range must also be made of stainless steel. The visitor returns to the internet and searches for best self cleaning stainless steel electric range. Let’s say that on your website you have a post promoting electric ranges with a long tail keyword self cleaning stainless steel electric ranges. This keyword is ranking in No.1 position on Page 1 of Google. Google is only too pleased to show the visitor your website because your product is exactly what has been searched for on the internet. From the example above, you can see the value in choosing long tail keywords to promote products or services on a website. The internet is loaded with thousands of websites promoting products in a particular niche such as the electric range. By taking time to do careful keyword research, in most niches it is possible to find a quality keyword phrase with low competition. There is a time factor to consider when aiming to rank keywords of any length on the first page of Google, and the process should not be rushed. Do it once and do it well, you will see the benefit. Research in Google.com will provide thousands of keywords to help you get started. In this post we are commencing with the search term best electric ranges, as described above. The result of this Google search is 22,600,000 approximately, as shown in the image below. This appears to be a great niche. There are thousands of people online searching to find an electric range. If your website is promoting kitchen appliances, including electric ranges must be a profitable move. However, the keyword ‘best electric range’ is not a buyer keyword. There is more work to be done. 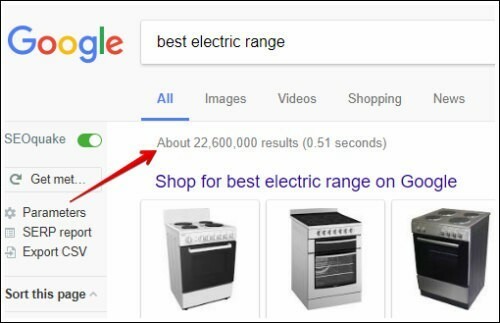 It would be very difficult to get a Page 1 Google rank for the keyword electric range. In the next image, we have extended the keyword research and found ‘self cleaning stainless steel electric range‘ to be a buyer keyword. ‘Buyer keyword’ means the visitor to the web is now ready to make purchase. They have completed their research for the best product. This image is of Google search results in No 1 position on Page 1. The above information is an example of how to find profitable buyer keywords, described in online marketing as long tail keywords. This post is an example of how you are able to benefit from the use of long tail keywords. Through research, using quality content in your posts, and the inclusion of long tail keywords you have what you need to build a profitable affiliate marketing website. Promoting websites through Search Engine Optimization means careful attention must be given to selecting appropriate keywords. Preferably long tail keywords. I have a favorite keyword tool I use for all my keyword research. However, starting with a Google search generates some excellent ideas, as can be seen in the images above. If you think about the way you search online it is quite likely you do similar to what I do. For instance, having moved from one city to another and needing to find a holiday place for my beloved cat, I do a quick search for cattery in my town. After the first results, my next search could be best cattery in my town for elderly cat. Or best cattery in my town for a six months old kitten. Adding extra words that define what people are searching for and building content around those keyword phrases, will bring more buyer traffic to your site. In the event of you owning a cattery and visitors to your website see that you provide special care of elderly cats, no doubt you would receive a new booking. Similiar would apply if you promoted extra care for kittens as young as 6 months. Buyer traffic arrives on your website because the search engines have found your content. Google is now convinced you provide what people are looking for. Because Google is satisfied, your post is now on Page 1 of Google and traffic to your websites is increasing rapidly. The methods explained above regarding long tail keywords relate to promoting any type of product through an affiliate marketing website. With Google’s sophisticated algorithms and the current method of using one keyword phrase to a post, careful selection of long tail keywords is essential. I would appreciate receiving your comments and/or question. Please leave them below and I will send a reply. 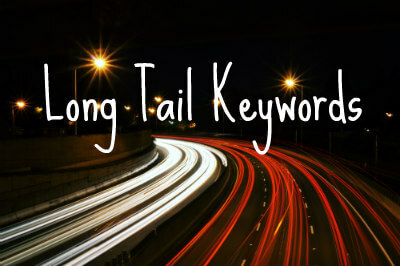 Long-tail keywords are the key to SEO success like you have so efficiently explained here. Using this long-tail keywords not only allow for your ranking to be easier achieved but the keyword searches is exactly what the audience wants. That being said, when they stumble on your site with searching that long-tail keyword, they are more likely to stay because you are giving them what they want. I also love how you included “best” in your examples of keywords. Best of post are really good for consumers! Thanks for this Valerie! I’m pleased you enjoyed this post about long keywords which are so important to content being ranked by the search engines. And, as you say, using the word “best” can do much for content when it comes to visitors finding the best product or service to solve their problem. Thanks so much for leaving your comment. I thorougly enjoyed reading this article! It was so easy to understand a buyer’s intent according to their search queries. The images you provided helped as well! Thank you for visiting my site and leaving your comment. I’m pleased to know you enjoyed the content. This is a great post and you explained the long tail keywords in a way that hits home with me. I search for keywords all the time, but I forget at times to use the google search as a way to refine the search even more. You have used the images very well to explain this. I will use this technique on my next post. I learned from this post. Long tails keywords help to refine and get more specific with the exact information someone may be looking for. Thank you for leaving your comment. I’m pleased to know you were able to benefit from the long tail keyword post. I understand what you say about forgetting to use Google for keyword research. It’s so easy to stay with a favorite keyword tool such as Jaaxy or WA tool, but using Google’s keyword planner is a great start in respect to finding what people are searching at their first attempt of finding the best of the product they desire. 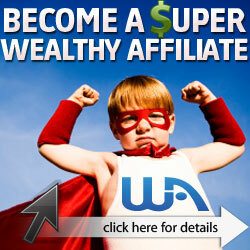 The information in your post is really detailed and very valuable to a newbie in the Affiliate Marketing world. I read a number of articles on keyword searches and I’m happy to say after reading your post, the penny finally dropped with me. Using images to show examples of searches really works for me. – Thank you Valerie! Thank you for leaving your comment as it is valuable information in respect to newbies with internet marketing. It’s interesting you said that the images work for you. That’s great to know as I have often wondered just how helpful they are. Thanks for this helpful information! I think there’s definitely a LOT of value in long-tail keywords. The more keywords you can implement in a natural sounding way (without stuffing) seems like a smart way to increase your rankings and traffic. I think we can all benefit from this information. Thanks very much for visiting my latest post. I’m pleased you found the information helpful. Natural sounding keywords and relevancy are so very important to seo success. You have taken a complicated concept and presented it with such ease, it would be hard not to develop a winning, long-tailed keyword. Thank you. Tanya, Thank you very much for visiting my post and leaving such a pleasant comment. Thank you for your article it is very informative as I did not ever think of the long tail keywords and how google is super smart to pick up on where the key words are. I will be more careful now when writing my articles so I can get placed higher on google. Crystal, I like your comment about Google being super smart. They certainly are, and reward us with good rankings when we provide what they are looking for. All the best with gaining higher places on Google. As being new to affiliate marketing, this post is really helpful to me for having longer keywords. If someone is new to SEO, they are sure to find this article really helpful. Jordan, I’m pleased to know you found the post helpful. The long tail keywords are definitely great for good SEO results.